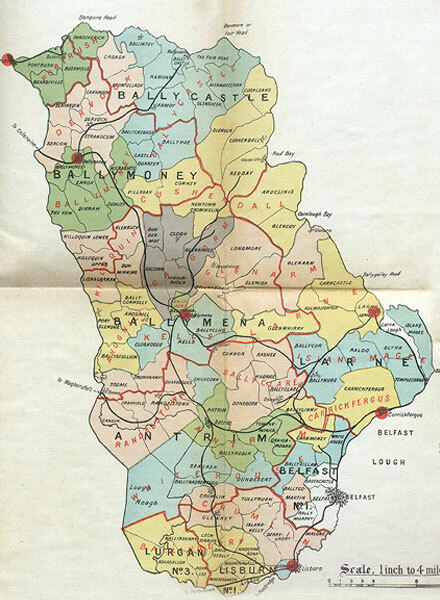 The Local Government (Ireland) Act of 1898 established a system of county councils, urban and rural district councils in Ireland, based on the British model. Some Irish women (who met the property regulations) were allowed to vote in local government elections and were eligible for election as poor law guardians. The act brought to an end landlord control of local government in Ireland. Nationalists swiftly won control of the new county councils apart from in the north-east counties of Ulster which were dominated by Unionists. The act was another example of the Conservative policy of 'killing Home Rule with kindness' – providing reforms on central issues such as land to undermine nationalist demands for self-government. 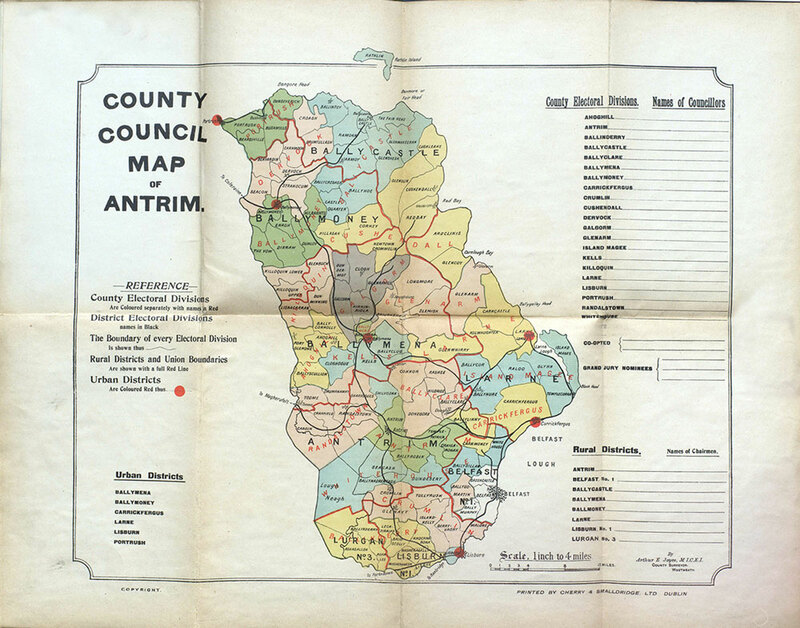 Map of County Antrim showing the new Urban and Rural Districts.